According to the Attorney General Lisa Madigan's office, the Save a Life Foundation (SALF) closed it's doors Sept., 2009. Whenever a non-profit shuts down, the state does an investigation, but over the summer the state received complaints and documents questioning the organizations handling of finances. A representative for the Attorney General's office said they are looking into the organizations charitable contributions and assets. Here's more for the Attorney General to look into, a letter I e-mailed today (slightly revised for clarity). This is to request that, in addition to the previous information I've provided to you, that you include the following information in your office’s investigation of the Save-A-Life Foundation Inc. (SALF). (Dr.) Amler graduated from the University of Arkansas for Medical Sciences, moved to New Orleans for a residency in pediatrics and eventually landed at U.S. Centers for Disease Control and Prevention in Atlanta. ...When she and her husband worked for federal health agencies, they had ties to the Save A Life Foundation, a charity in Illinois that taught first-aid skills to children. The foundation, which received millions in federal grant money, was discredited after a 2006 television news investigation revealed that its founder, Carol Spizzirri, lied about being a registered nurse, the circumstances of her daughter’s fatal car crash (the reason the foundation was created) and the number of children it had trained. Amler said the CDC assigned her to advise the group on how to measure whether its teaching was effective. 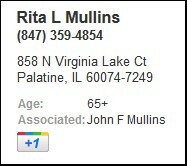 After she found out in 2008 that she was listed on SALF’s website as a board member, she called the organization to take off her name. “I had nothing to do with their board,” she said. 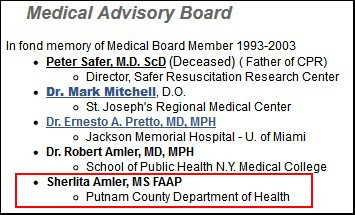 Please also see these pages from SALF's Annual Corporate Reports which, based on the Journal News report, falsely claim that Dr. Amler served on the organization's Medical Advisory Board from 2005-08. Further, you'll recall my letter of February 19, 2011 in which I brought to your attention another apparently problematic claim by SALF, that Gery J. Chico (now Chairman of the Illinois State Board of Education) served as a member of the organization's National Board of Directors. As I informed you in that letter, Mr. Chico has denied that claim. The examples of Dr. Amler and Mr. Chico raise reasonable concerns about potential misrepresentations of other individuals SALF claimed as board members. 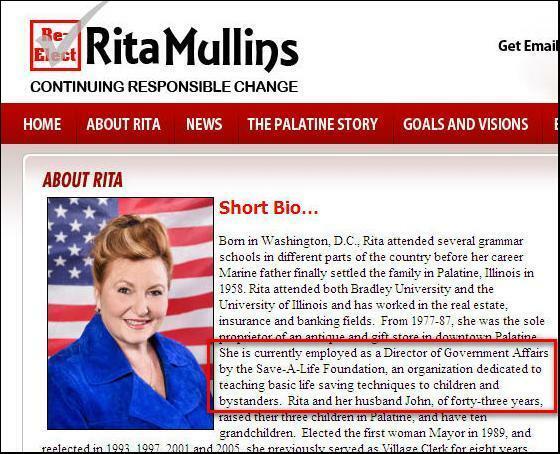 Presumably such questions may be resolved by Rita Mullins, former mayor of Palatine, IL, for 20 years, who according to SALF's IRS tax returns served as the organization's Vice-Chairwoman and Corporate Secretary from 2004-08. Thank you for your ongoing attention to this matter.